My Studio is warm, comfortable, safe and very clean. I am happy to fulfill the personal preferences of clients in areas such as music, aromas, temperature, props and other areas to enhance each healing session. Please alert me to any special conditions or preferences you have prior to a session. Since music is an important part of the healing experience, I have carefully selected an array of music to compliment any session. I appreciate feedback on the selections you hear, and am happy to play genres or playlists you request. I use premium essential oils in all my treatments, and offer a choice of Young Living Essential Oil scent blends to suit each session. All the oils are available for your exploration, use or purchase. My studio includes a mirror, valet, and sink, as well as plush robes to take a luxurious Swiss shower/steam room before or after a session. 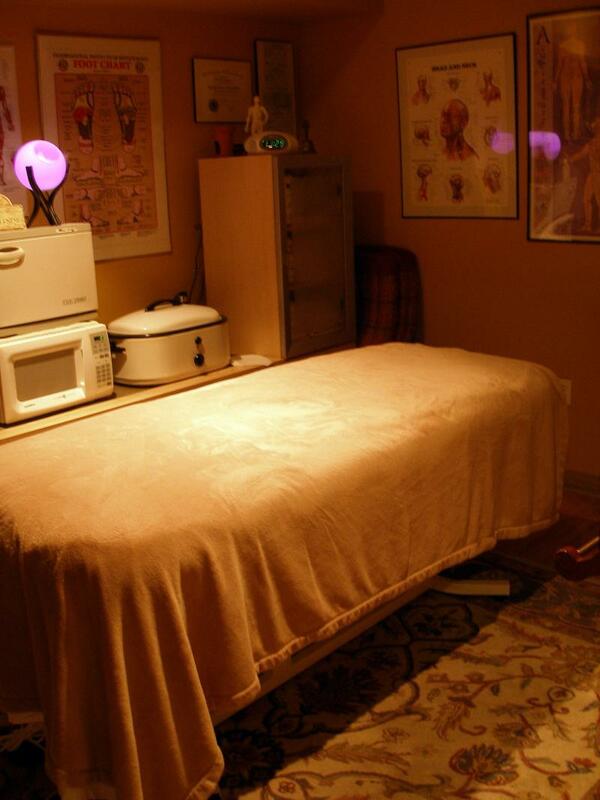 My studio includes extensive reference and educational materials on healing and physical conditions. I am happy to take time before or after a session to guide you through materials and make recommendations for after-session care. Below for Thai Massage sessions, I convert my studio space to suit the therapy. Below are select images of a Thai Massage. Copyright 2014 Healing Balance Therapies, Inc.. All rights reserved.